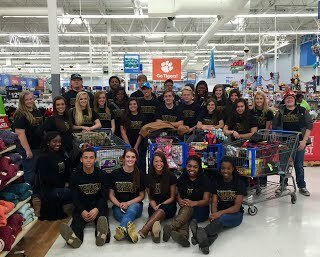 The AHS Student Council raised over $800 for Angel Tree children last holiday season. The students wrapped and organized the gifts for delivery. Pictured above are the 2015-16 officers purchasing gifts.